As licensing bodies tighten up on environmental noise pollution from venues and clubs, it is becoming increasingly important to keep control over sound levels inside and outside your venue. Apart from the primary consideration of acoustic treatment to walls, windows, doors and roofs, there are also methods of controlling the level of sound being created. There are two main ways of doing this which satisfy the requirements of the Environmental Health Department. The Sentry Mk2 does a similar job, with the warning lights and microphone all in the one box. This makes it quicker to install but must be positioned carefully so the indicators can be clearly seen by the performer(s). The Sentry 2 has connectors provided to interface with a range of equipment, plus internally selectable options to make the system as versatile as possible. Sentry can control external relays for disconnecting loudspeakers, switching passive attenuators to reduce system volume or acting as the trigger into an active attenuator system. 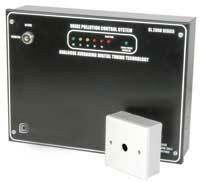 It is microphone driven and has its own microphone built in to minimise tampering. The Sentry also incorporates the facility to operate at two different sound level thresholds which may be selected manually, by a remote key switch or similar, or automatically by a time switch (switches not supplied). 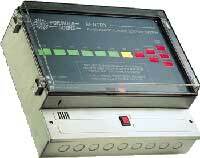 This allows a venue to operate at different levels at different periods of the day. e.g. when near offices or shops. Sentry is supplied as a system ready for installation by a qualified electrical contractor. We particularly recommend the Drawmer MX30 and DL241 models, which have brick wall peak limiters and clear status indicators. For large club systems it may be desirable to limit different audio ranges (eg bass, mid, HF) separately. Many professional active crossovers or system controllers have this feature built in, so it's a good idea to check that these are correctly adjusted first. Limiters can be calibrated by trial and error or more accurately with specialist measuring equipment. Drawmer have also just developed the SP2120 system controller for sound level limiting and loudspeaker protection using Drawmer's proven multi-band compression technology. Call us to discuss how Sentry or Drawmer products could help you. Since 6 April 2008, the Control of Noise at Work Regulations 2005 have applied to the music and entertainment industry, as well as every other workplace in the UK. If you work in a pub, club, or any other part of the industry, your employer has a responsibility to make sure your hearing is protected. If you believe that this is not being done, get in touch with your local council's Health and Safety team to talk about your concerns. If you are the employer, you have a responsibility to ensure your employees are protected from hearing damage at work. There are lots of things you can do to protect your staff, and you might be surprised how a few small changes can make a big difference. We are able to help, and tell you about your responsibilities and what steps you can take to make sure you're complying with the regs. Employers can find comprehensive advice on the Noise at Work regulations from the Sound Advice website. The Sound Advice guidance was prepared by various representatives from the music and entertainment industries, in collaboration with the Health and Safety Executive. So what do the regs say? and control measures to reduce the person's exposure should be considered. Control measures could include simple steps such as the use of sound reducing screens, or rotating staff so they spend less time in very noise areas. control measures - like those mentioned above - should be taken to reduce exposure. Finally, after allowing for the reduction of exposure by hearing protection, an employee must not be exposed to beyond 87dB over an average of eight hours, or a peak of 140dB. If they could be, the employer must take steps to ensure they are not. How do I know if my work place is breaking the law? Now you can check your sound levels without spending a fortune on complicated test equipment or expensive consultants. ST85C mini sound level meter. Easy to operate, easy to see what you're dealing with. It's really important to remember that the regs are not just about volume levels. A club will not have to turn its music down to 85dB (though it would be a really easy way to do it!). Instead, it's about making sure that each individual employee over the course of a day isn't exposed to excessive noise levels that could damage their hearing. What's more, there are some really easy steps you can take to comply. Am I the last to find out about this? No. We conducted some research in 2007 to see how many businesses were prepared for the enforcement of the regs, and the results weren't very good. More than two thirds of the businesses we surveyed hadn't even heard about the new regs and almost 75% hadn't received advice from their Local Authority. For more details about the research, you can view the the briefing document (PDF 32KB) provided by the Royal National Institute for the Deaf (RNID). How do I do a Noise Risk Assessment? This should be quite a simple process. If you think any of your staff could be exposed to sound levels above 80dB, you'll have to do an assessment and keep a record of it. You can buy equipment to measure the sound levels accurately, but as a rule of thumb if you're having to shout to be heard by someone who's two metres away, and this is consistent over the course of someone's shift, that's a sign that the level may well be over 80dB. If shouting is necessary to be heard from one metre away, then the level will be over the upper action level too. To do a risk assessment, note down where the risks are coming from – probably in this case, loud music from speakers. Then list who's at risk, the level of risk, what you're going to do to reduce the risk and by when. Keep a record of this and make it happen – it's no good unless you use it. You need to be able to show that you've looked at the potential risks and acted to reduce them. Your local authority should be able to help you with this process if you are unsure. For more details on how to perform a noise risk assessment, take a look at the HSE website. GB Audio are RIBA (Royal Institute of British Architects) trained and certified to hire, design, sell, install, commission and test Ampetronic and Signet induction loop and Sennheiser infra red systems which benefit the hard-of-hearing. Systems can cover an entire room or can be limited to a counter or box office. People can listen in by switching their hearing aid to the "T" position or by using portable beltpacks with miniature headphones. Sennheiser infra red systems can be used in conjunction with standard hearing aids when used with the Sennheiser IR neck loop adaptor. They also have the advantage of being able to transmit high quality, multi-channel audio, making them especially suitable for simultaneous translation or audio description services. According to the Equality Act 2010, induction loop systems should now conform to and comply with the Electrotechnical Commission (IEC) IEC60118-4 (2006) Performance Standard (formerly BS EN60118-4). GB Audio are RIBA trained and certified to carry out Annual Loop Conformity testing on installed induction loop systems. From October 2004, all UK public buildings have to be fully accessible, including the provision of systems for the hard-of-hearing, where appropriate. All buildings which are accessible to employees or public (shops, offices, education, venues, hotels, transport links, most workplaces) must take reasonable steps to make their premises accessible. Signet PL1/K1 is a handy counter-top or table-top induction loop kit for use at ticket booths, checkouts, Bank counters, Post Office, or other one-to one situations. Rechargeable battery or mains operation.